• A traffic sign or traffic road marking does not prohibit overtaking and only if overtaking it is safe to do so. 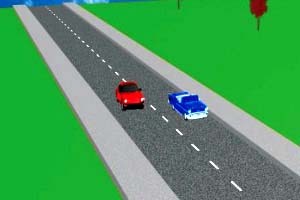 • The driver ahead of you indicates that he is going to turn right and you have enough room to pass on the left. • You are travelling down a one-way street, which is wide enough for two of more vehicles to travel next to each other, whether or not lanes have been painted on the road surface. 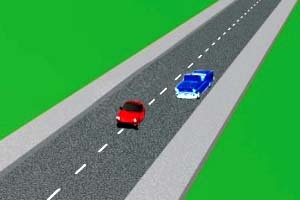 • Indicate your intention to overtake before you change lanes by using indicators or hand signals. 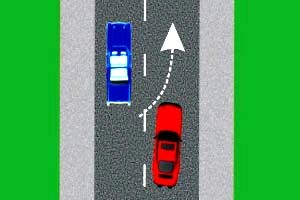 • After overtaking, indicate that you intend to move back to the lane in which you were originally travelling. • Keep a sharp lookout for passengers embarking or disembarking from the vehicles. • Keep a sharp lookout for pedestrians and children. • You must keep as far left as possible. 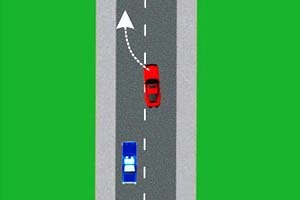 • On a multi-lane road, you must move to the left-hand lane when the driver behind you indicates his intention of passing you.